It's been a while since we've started up and the prospects of getting readership and traffic looks good. We have around 10 readers on Feedburner and 50 fans on Facebook, we're not completely into twitter for now, but, we do pop out a tweet whenever there's a new post on PC Geek. 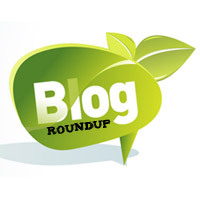 We will be having a Roundup during the first week of every month where the most read posts will be showcased. We'll also be writing about the plans we have for PC Geek in the forthcoming month to give you an idea as to what you can expect as a reader. We have decided to get our own domain now and the you should be seeing us upgrade in a couple of weeks, we've got a contributor who'll be writing from next week. 5 Tips to Speedup Windows 7. 5+ Must have Chrome Extensions for Bloggers.